The Romain College of Business has AACSB accreditation for Business and a separate accreditation for Accounting. The College enrolls approximately 1,300 undergraduate and 650 graduate students, has 55 full-time faculty members, and has an annual budget of over $7M. Administratively, the College is organized into three academic departments: Accounting & Finance, Economics & Marketing, and Management & Information Systems. The College offers eight undergraduate majors: Accounting, Business Administration, Computer Information Systems, Computer Science, Economics, Finance, Management, and Marketing. Students can also earn post-baccalaureate certificates in Accounting and Computer Information Systems. The College offers a Master of Business Administration program in both face-to-face and accelerated online formats with concentrations in Accounting, Data Analytics, Engineering Management, General Business, Human Resources, and Healthcare Administration. The College houses and operates the User Perception, Cognition, & Interaction Lab, the Strategic Social Media Lab, the Griffin Experimental Economics Lab, and the Cyber Security Operations Center. The Dean reports directly to the Provost and serves as the chief academic officer of the College. Candidates must have an earned doctorate or terminal degree with the academic qualifications and achievements consistent with an appointment as a tenured, full professor in the College. Evidence of successful administrative leadership above or equivalent to the department chair level is required. The successful candidate should be able to demonstrate mastery of and active involvement with the AACSB accreditation process. The next Dean will bring enthusiasm and creativity to the position and demonstrate exemplary strategic and ethical leadership, outstanding communication skills, a commitment to diversity and inclusion, a passion for student and faculty success, and a dedication to community engagement. 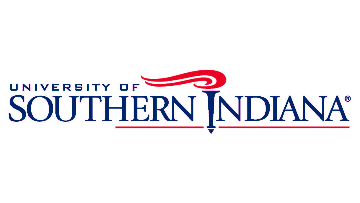 To learn more about the position, please visit https://www.usi.edu/deansearch.